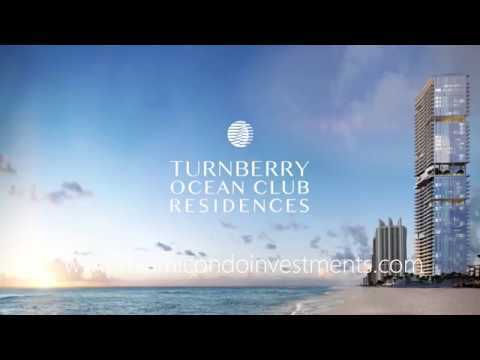 Turnberry Ocean Club is being developed by Turnberry Associates. The all-glass tower design of Turnberry Ocean Club is a collaboration between famed architects Carlos Zapata and Robert Swedroe. Turnberry Ocean Club will rise 54 floors and include just 154 total units, each with flow-through floor plans offering breathtaking views of the ocean, city, and Intracoastal waterways. The lobby and common area spaces at Turnberry Ocean Club have been designed by Jan Clausen with model residences designed by Steven G. The building will have just two to four units per floor and include six floors of amenities totaling over 70,000 square feet. Turnberry Ocean Club is expected to be completed by the end of 2019. Turnberry Ocean Club will include some of the most lavish amenities in all of South Florida, such as three swimming pools, three private dining areas, three bar/lounge areas, two hydrotherapy spas, coffee bar and reading lounge, indoor theater/screening room, stock trading lounge, executive boardroom, multi-media game room, children’s playroom, full-service concierge, and much more. Turnberry Ocean Club is located at 18501 Collins Avenue in Sunny Isles Beach, Florida. It will be one of the most exclusive condo developments South Florida has ever known. The location of Turnberry Ocean Club allows residents to be a short drive to Miami’s world-famous South Beach, Downtown Miami, Miami International Airport, world-class shopping at Aventura Mall, and so much more.